Crompton Greaves has now developed a complete family of high efficiency motors confirming to Eff level 1 standards of IEEMA : 19-2000 and other applicable standards in Europe and rest of the world. These motors are available in TEFC construction for use in safe areas and also in flameproof enclosure for use in Hazardous areas. ⇒ Low loss special grade of thinner laminations. This reduces the Iron loss even at partial loads. ⇒ Thicker conductors and more copper contents reduce copper loss due to lower resistance. ⇒ Longer core length, reduced and uniform air gap between stator and rotor to reduce stray losses . ⇒ Special design of fan and fan cover to reduce windage losses. Improved efficiency is available from 60 % to 100 % load. The eff curve is almost flat resulting in higher energy savings as in most of the cases the motor is not always fully loaded . 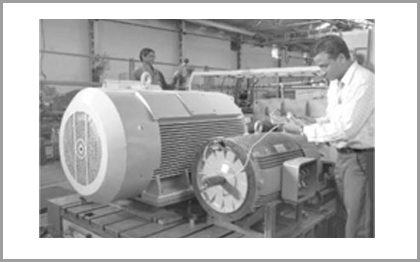 These motors have inherently low noise and vibration and help in conservation of environment . 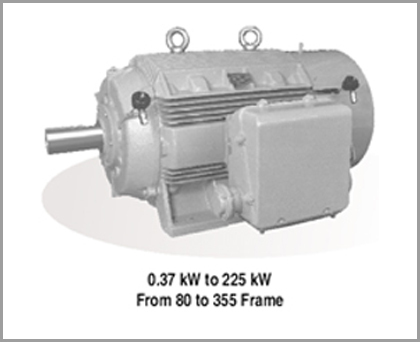 Crompton Greaves energy efficient motors offer an additional feature which no other manufacturer offers. These motors are with highest power factor in the industry due the special exclusive designs available with Crompton Greaves. The higher power factor reduces the currents in the cables supplying power to motor and this reduces cable loss, improving the system efficiency sometimes by even 2 %. Sometimes this allows even a lower cable size saving tremendously on capital costs. Saving is also made by reducing capacitors required to improve power factor. ⇒ NEMA EPACT EFFICIENCY VALUES (for NEMA motors) IEEMA 19-2000 standard covers kW ratings only up to 160kW. However we are offering energy efficient motors up to 450 kW. Growing cost of energy calls for power saving at each possible step of manufacturing. Electric motor driven systems used in industrial processes consume more than 70 percent of electricity used in industry, hence best possible technology is being applied for achieving highest possible efficiency values. The efficiency of an electric motor is determined by the amount of useful power it produces compared to the amount of energy required to operate it. 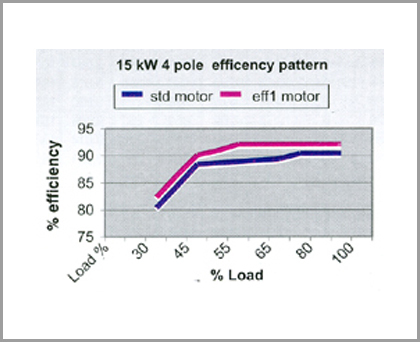 The figure below illustrates how a Crompton Greaves Energy efficient motor effectively turns 1000 units of electrical power into mechanical power. Since motor efficiency is commonly expressed as a percentage. Efficiency in this case would be 94%. The benefits of using these motors are maximum in continuous duty applications like Blowers, Compressors, Fans, Exhausters Pumps etc. 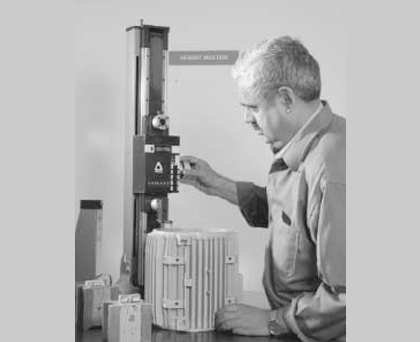 In many applications the load factor of the motor will range between 60% to 80%. The efficiency curve of standard motor is drooping in nature i.e there is a sharp fall in efficiency at partial loads. But the energy efficient motors have a flat efficiency curve and hence the fall in efficiency is marginal. Thus energy saving is significant even in part loads. So it makes a great deal of sense to choose an eff1 level motor whenever a motor is needed to drive any applications. Combining this with usual Crompton greaves motors reliability, wide service network (over 180 service points all over India), the wise choice is Crompton greaves EFF1 motor. lacs as compared to buying cost of Rs 7215/-. Also the energy kWH rate is likely to only go up in future. 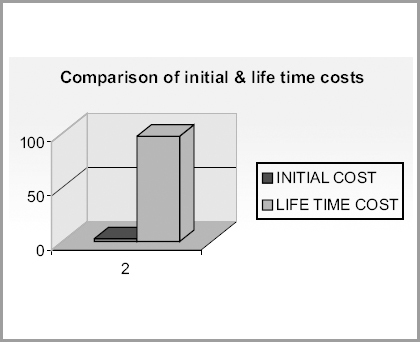 it uses over it working lifetime, the initial cost represents less than two percent of its lifetime cost in most of the cases .